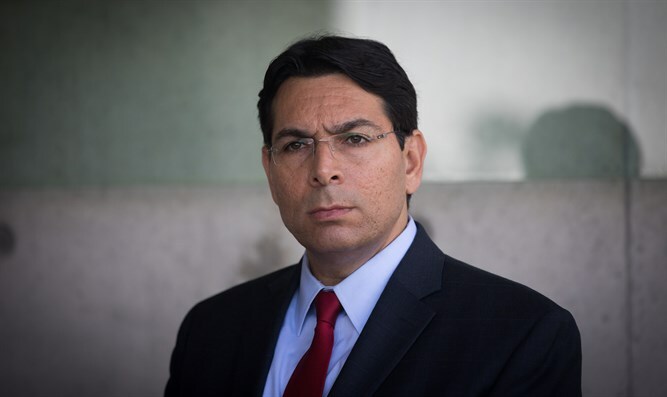 As Israel prepares for new elections, Ambassador Danny Danon reportedly announces plans to resign his position, run in Likud primaries. Israel’s ambassador to the United Nations, Danny Danon, has announced that he will be resigning his position, according to reports. Danon, a former Likud MK and Science Minister who since 2015 has served as Israel’s top envoy to the UN, will be returning to politics following his resignation as ambassador. The ambassador was to have ended his term in February 2019, but following the governing coalition’s decision to dissolve the Knesset and head to early elections, Danon announced plans to step down early – ahead of a run in the Likud party primaries prior to the election. Earlier this week, the coalition voted unanimously to back early elections, pushing up the vote for the 21st Knesset from November 5th 2019 to April 9th. Following reports of Danon’s resignation, the ambassador released a statement via a spokesperson saying that he had taken no formal actions as of yet, and would make an announcement only after the Knesset votes Wednesday on its dissolution.